Today I am hosting a stop on the Charlie: A Love Story blog tour. I wrote a review for this tour and am happy to have Barbra and Charlie on my blog today. Dog lovers will want to read this beautiful story. I hope you all enjoy the post. Thank you Tribute Books for having me on this tour today, it is always a pleasure working with you! Charlie was the perfect dog, loving, devoted and Barbara’s best friend. Barbara loved dogs but the connection she had with Charlie was deeper and more intimate than the connection she had with any of her other dogs. When Charlie was eleven years old, he got really sick but fought to stay alive. Charlie endured a lot but because of his love for life and Barbara, he never gave up. This was a heartfelt book that evoked some strong emotions, especially being a dog owner. 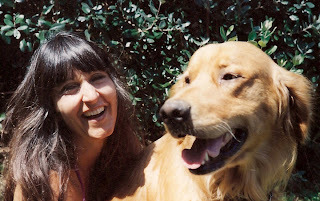 The connection that the author had with Charlie and her other dogs, were beautiful and unique. I have never had a connection with an animal like that. Her dogs were like children to her; especially Charlie and she treated them more like humans than dogs. I thought that was really special and am glad animals can have people love them and take care of them like that when some are not that lucky. I’m honestly not a non-fiction reader so this book was a little more difficult for me to get into reading, which is not the books fault. I like animals and thought I would try something a little different from my traditional read when I was asked to review it. The story was written in journal entries, which also took a while for me to get used to. It was well written and an honest account of the love between Charlie and the author who also struggled to make the right choices for Charlie. It was a beautiful story that pulled at the heartstrings and people who love dogs and are non-fiction readers will love this book. I received this book from Tribute Books for review. Barbara Lampert is a Marriage and Family Therapist specializing in relationships. She’s been in private practice in Brentwood, California for over twenty years. She considers her work a calling and loves what she does. She has a doctorate in medical sociology and two master’s degrees – one in psychology and one in sociology. Barbara has adored dogs her whole life. They’re her passion! She considers them the magic on the planet. Barbara has had dogs most of her life and hopes to have at least one by her side always. She notes that for a lot of people, their dogs are their best friends. She loves helping people know that’s ok – that a soul-satisfying relationship may be found with any being and needs to be treasured. Besides her love of dogs, Barbara is an avid gardener and finds herself gardening in much of her spare time. She sees her garden as a work of art. She loves being in nature – the miracle of growth, the ever-changing landscape, its beauty. Today Barbara lives happily in Malibu, California with her husband David (married twenty-eight years!) and their six-year-old Golden Retriever, Harry. 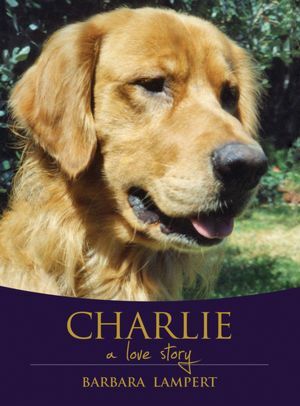 Barbara hopes that Charlie: A Love Story will be a tribute not only to a magnificent dog but to all dogs everywhere. 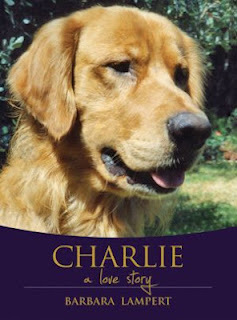 Thank you so much for your very perceptive and warm review of my book and for your understanding of Charlie’s indomitable character and the very deep bond he and I shared. And thank you also for your honest self-appraisal about reviewing a nonfiction dog memoir. P.S. Your site is beautiful! Thank you for hosting me and Charlie’s story.